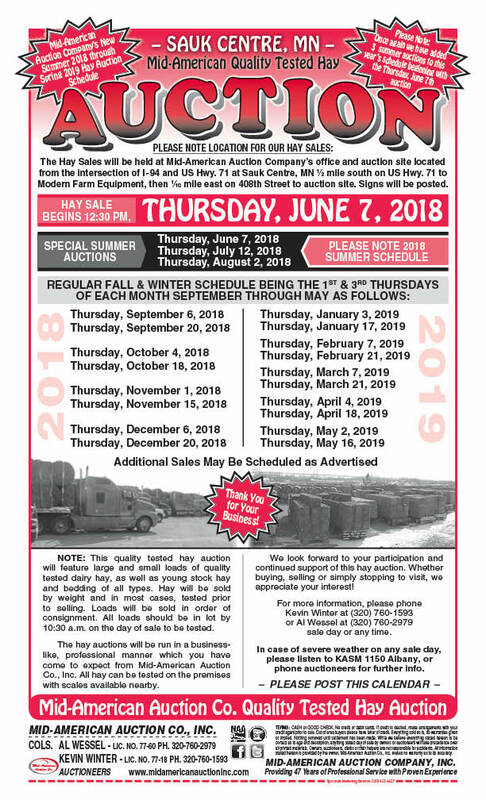 Hay Sales are held the first and third Thursday of every month from September through May beginning at 12:30 p.m., now held at office and auction site located from the intersection of Interstate 94 and US Highway 71 at Sauk Centre, MN 1/2 mile south on US Hwy. 71 to Modern Farm Equipment, then 1/10 mile east on 408th Street to auction site. Always 100-150 loads of high quality hay & bedding.